Leave your computer behind and travel light! Screens lets you connect back to your Mac, Windows or Linux PC and control it from the comfort of your living room, the corner coffee shop or anywhere in the world. Install Screens Connect on your Mac and make it easily reachable from anywhere in the world. 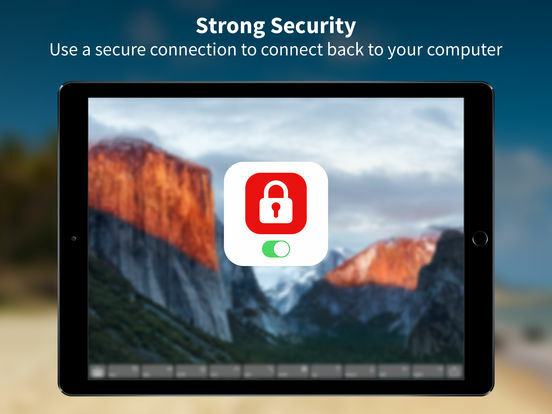 Your saved Screens follow you on every iOS device you own through iCloud or Dropbox. Use Screens next to any other app and stay productive. Let Screens type your user password with just one tap of a button. Block the display on the remote Mac you're connected to. Useful if you don't want the user to see what you're doing. Use Quick Actions, Peek and Pop to make Screens even faster and easier to use. Initiate a single-shot connection to a nearby Mac or Linux PC without having to create a new Screen. Screens can connect back to your computer through a secured connection. 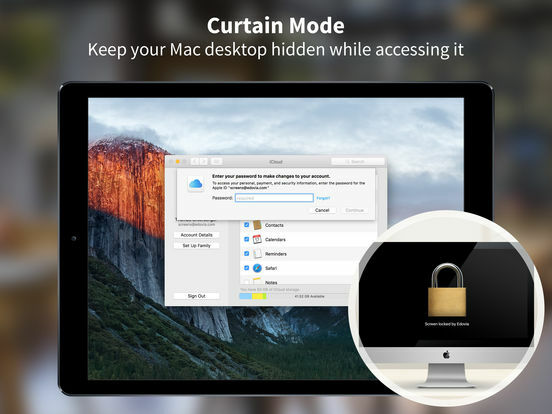 Enable Remote Login on your Mac and you’re done! 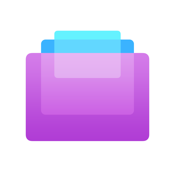 Do you have more than one display attached to your Mac? Screens supports multiple displays allowing you to always access what you need, no matter which display its on. Exchange rich text, URLs, images and more via your local or the remote clipboard. Screens can also synchronize both clipboards. Send your computer’s display to your TV through AirPlay. Screens can execute special commands before it disconnects from your computer. Execute one of them Hot Corners or get the remote user to log out. • Windows and Linux users are required to configure their router and computer manually to access their computer remotely. • A SSH Server, such as freeSSHd, is required to create a secure connection to a Windows or Linux PC.